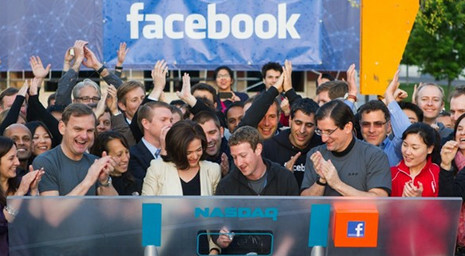 Facebook on the day of its IPO. In early 2013, Facebook plans to introduce a new advertising product that will add video ads directly into the news feed. Details of the debut have yet to be finalized, but industry analysts agree that this new promotional product is the social media network’s most obvious effort yet to bring in major dollars from TV advertising budgets. As the latest of the social media company’s recent moves to monetize Facebook, these video ads will allow advertisers to integrate their online messages right into the news feeds of Facebook users on both the desktop version of the site and the Facebook app for smartphones and tablets. This will enable video advertisers to target and reach large amounts of Facebook users through one of the social network’s most visible and popular site features. Adage.com recently reported on how these video ads are expected to garner the attention of users as they draw TV advertising dollars from marketers. Many industry analysts believe that advertisers have been hoping for a powerful Facebook video advertising product. While these video ads would basically require them to create completely new online ads with some effort and expense at the onset, these Facebook video ads should demystify the online ad arena by allowing advertisers to target demographics the same way they do on TV and also use the gross ratings point currency. One component expected to cause controversy is Facebook’s decision to start playing the visual part of video ads automatically. It’s still uncertain whether the audio element will also play immediately. Such an “autoplay” feature is frequently considered to be intrusive, as well as sometimes thought of as a kind of fraud when the ads are counted as “views” regardless of whether they’re actually watched. Another issue is whether Facebook users will just disregard video advertising from brands that they have no relationship with, despite the fact that they’ve been targeted to their personal profiles. Facebook is probably going to limit each video ad to 15 seconds rather than run the typical 30-second commercial. This time reduction could finally push advertising companies that have been hesitant, to cut the length of their 30-second TV commercials and ultimately redefine the nature of online video advertising. Once the video ads have been integrated into the news feeds, users of the desktop version of Facebook will see these video ads expand out of their news feeds and spread into the page landscape in both the right and left screen columns. This will allow the ads to stand out from other page features and better capture the user’s attention. Facebook is still deciding how the ads will appear on its mobile apps since they’re striving to make them just as attention-grabbing on the smaller tablet and smartphone screens. A particular video ad can be shown to a Facebook user up to three times a day on any of their digital devices. Facebook has released some of the specifics regarding these video ads, but many advertisers still have questions about just how this new video ad product will both work and work for them. Currently, videos from advertisers only appear in a user’s news feed if that person or one of their friends has “liked” the advertiser’s Facebook brand page and the brand has posted a video on its page. With these new video ads, some believe that a brand’s advertising agency will have the ability to target video ads directly to Facebook users regardless of whether the users or their friends have had any interaction with the brand on Facebook. For now, Facebook users and advertisers must watch, wait, and wonder about exactly what these new video ads could mean to their social media experience. MDG Advertising, a full-service advertising agency with offices in Boca Raton and New York, NY, is one of Florida’s top integrated marketing agencies. Our 360° approach uses just the right mix of traditional and digital marketing to reach your advertising goals. While some industries may fare better in print and others online, we strive to create a balanced approach, where traditional, social media, and digital marketing efforts support each other and your message is tailored to the medium. To stay on top of the latest Facebook advertising trends and what’s new in social media marketing, contact MDG Advertising.